The November agency tasting was led by our good friend, oenopole’s Theo Diamantis. We wet our whistles with a new addition to the agency’s portfolio, its first commissioned product, a made-to-spec beer that had been available only through the private import channel since its launch last spring but can now be purchased at the brewery’s boutique and is about to make the jump to the SAQ. A Belgian-inspired blond ale, specifically a “grisette saison brewed with Barbe Rouge and Cashmere hops and fermented with our saison blend.” Refermented in the bottle. Crown cap. 5.2% ABV. Quebec agent: oenopole. In late September, the Mo’ Wine Group initiated what we hope will be a near-monthly series of agency tastings, at which a representative from one of Quebec’s many wine agencies presents a selection of wines, usually private imports, from the agency’s portfolio. 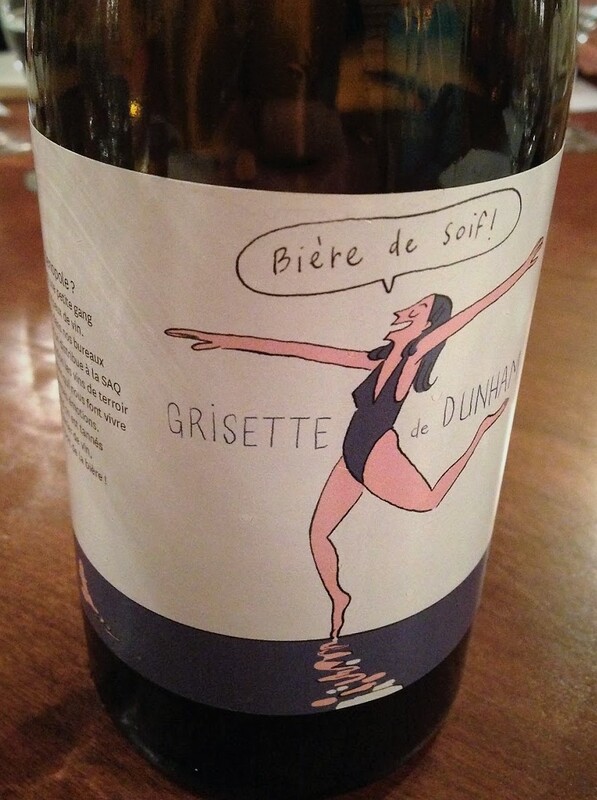 Kicking off the series was one of the newest kids on the block, Deux Caves. (The agency’s name is a play on words, une cave being a cellar in French and un cave being a dumbass, an incompetent, a sucker.) The cave leading the tasting was Max Campbell, who earns an actual living pouring wine, serving tables and shucking oysters at Joe Beef and Vin Papillon; the other cave, Alexander Campbell (no relation to Max) is a Montrealer currently based in Dijon, where he’s studying oenology. 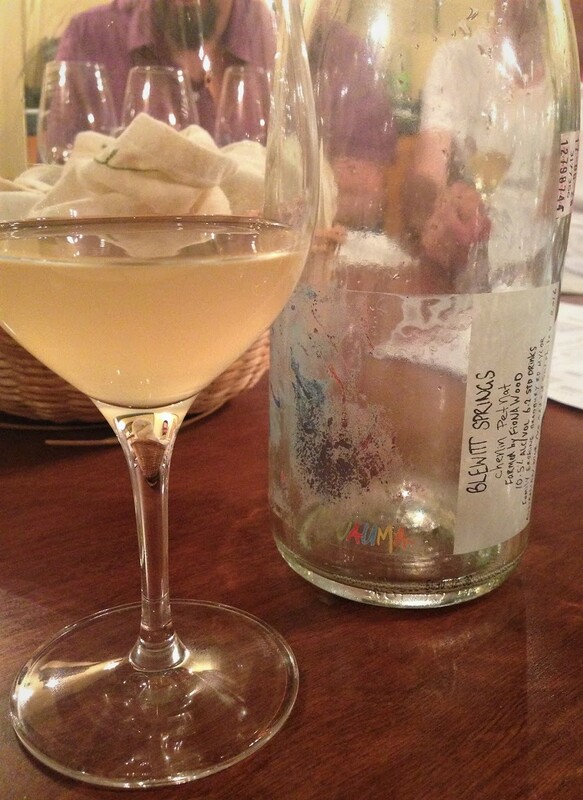 Deux Caves’s portfolio may be small for now but their focus is already clear: ultra-drinkable natural wines. In other words, right up the MWG’s alley, which is part of the reason why demand for seats at the tasting was so high that we ended up holding two sessions back to back (the promise of food, including a dish from Vin Papillon, may also have had something to do with it). We began with a white and a red from Xavier Marchais, a young winemaker based in the Anjou region. His four hectares of vines (half Chenin, half Cabernet Franc) are farmed biodynamically using a horse and manual labour. Pesticides, herbicides and other synthetic products are systematically avoided. Wine-making is non-interventionist. For the two Elixir cuvées, fermentation (with indigenous yeasts, naturally) and maturation take place in used barriques. Cellar techniques are pretty much limited to crushing and punching down by foot, manual pressing and racking. No sugar or sulphur are added. The unfiltered and unfined wines are bottled by hand and closed with a crown cap (the red’s cap reportedly allows more oxygen exchange than the white’s, which may partially explain the white’s reductive side). 100% Chenin Blanc grown on schist. Yields in 2012 were an incredibly low 13 hl/ha (probably similar in 2013). Matured 12 months. Crown-capped. 11.5% ABV. Quebec agent: Deux Caves. 100% Cabernet Franc grown on schist and spilite. Yields in 2012 were 27 hl/ha (probably similar in 2013). Crown-capped. 11% ABV. Quebec agent: Deux Caves. Glou partner Jack Jacob joined the Mo’ Wine Group on September 11 to lead a tasting of several of the agency’s private imports. 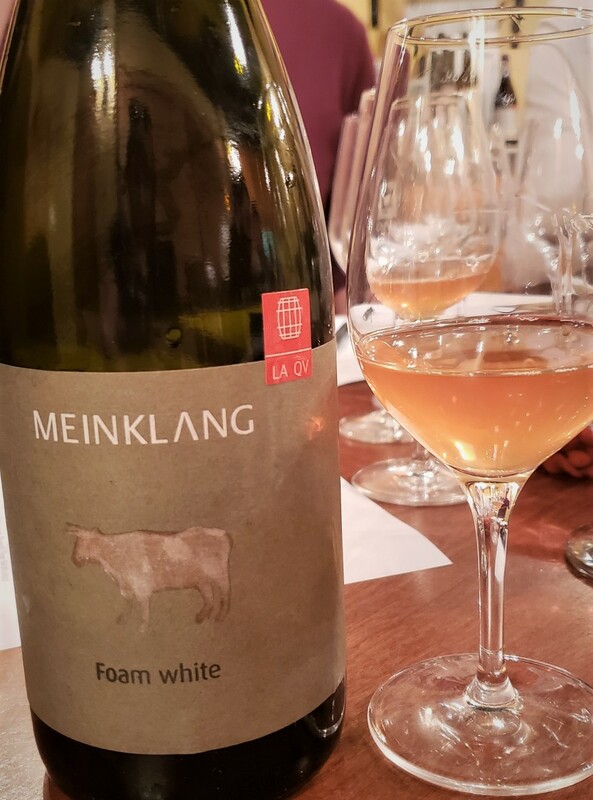 This being Glou, all the wines were natural (see this earlier post for a working definition) and many of the winemakers involved have shunned the restrictive controlled appellation designation. We began with an impressive sparkler. Based in the Loire Valley’s Touraine region, Capriades founder and co-owner, Pascal Potaire, is considered the king of pet nats (short for pétillants naturels, natural sparkling wines produced using the méthode ancestrale). This example is made from organically farmed Chenin Blanc with a dollop of Cabernet Franc (70-30, according to some reports). Spontaneous fermentation without additives. Maturation in old barrels. Bottled unfiltered and unsulphured and closed with a crown cap. 12% ABV. Quebec agent: Glou. Founded in 1999 and located at the top of Twenty Mile Bench, Flat Rock Cellars owns 80 acres of vines. The three core grape varieties are Riesling, Chardonnay and Pinot Noir. The winery is built on several levels to allow gravity flow. Intervention in the wine-making is largely avoided and indigenous yeasts are used for some wines. Two-thirds Pinot Noir and one-third Chardonnay. Whole-cluster pressed, cold settled, fermented in stainless steel tanks. Racked into neutral barrels for six month’s maturation, then blended, filtered and bottled, with secondary fermentation taking place in the bottle. Aged on the lees for three years, then disgored and dosed. Crown-capped. 12% ABV. 100% Riesling from a 2.5-acre vineyard atop a bed of limestone. Manually harvested, whole-cluster pressed, cold-settled and then racked off the lees for fermentation. Fermented at cold temperatures with selected yeasts. 13.5 g/l residual sugar. 11.5% ABV. A blend of two Chardonnay clones from four different sites and soil types. Manually harvested. Some of the grapes were destemmed, others were kept as whole bunches. After pressing and settling, the must was transferred by gravity feed into barrels (60%) and stainless steel tanks (40%) where it was underwent primary fermentation (with selected yeasts) and full malolactic fermentation with regular lees-stirring. After blending, the wine was bottled unfined. Screwcapped. 12.8% ABV. A challenging vintage meant the fruit was left on the vine until early October. Manually picked, gently pressed, transferred to barrels for fermentation followed by ten months maturation in French oak barrels (a mix of new and old). Screwcapped. 13% ABV. The so-called estate bottling. 100% Pinot Noir from seven parcels. Manually picked, pressed, then soaked on the skins with manual punch-downs several times a day to extract color and tannin. Barrel-fermented, mostly with indigenous yeats. Matured in a mix of old and new French oak barrels. Screwcapped. 12.5% ABV. A blend of barrels selected for their deeper, less forward fruit. Aged longer than the estate Pinot Noir; otherwise, the wine-making is identical. Unfined. Screwcapped. 12.5% ABV.